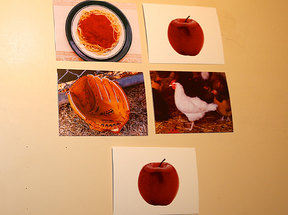 Students will learn to match identical pictures of familiar objects in this lesson. Stages Learning Materials Language Builder Picture Noun Cards. Prepare the 15 matching sets of cards from the Basic Stage Set. Have both blank and picture distractor cards ready. Sit with your student at a desk or table so that you can easily see your student and interact with the cards on the table. Depending on the student, you may choose to sit next to or across from him or her for best results. 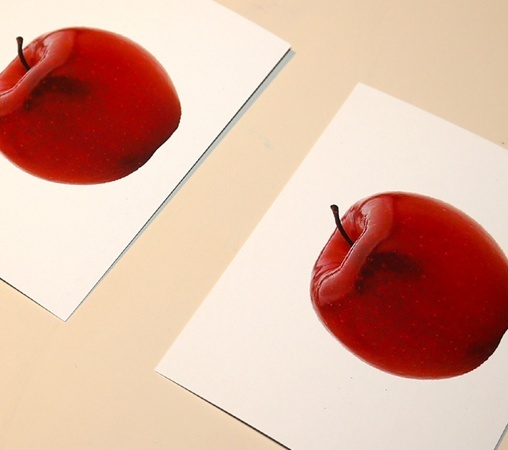 Place card #1 (the picture of an apple on a plain white background) on the table facing your student. Hand the student card #2 (the same picture) and ask him or her to match it to card #1. Try using a phrase such as, “Put with same” or, “Put apple with apple”. Since there are no other cards on the table, the choice is clear. 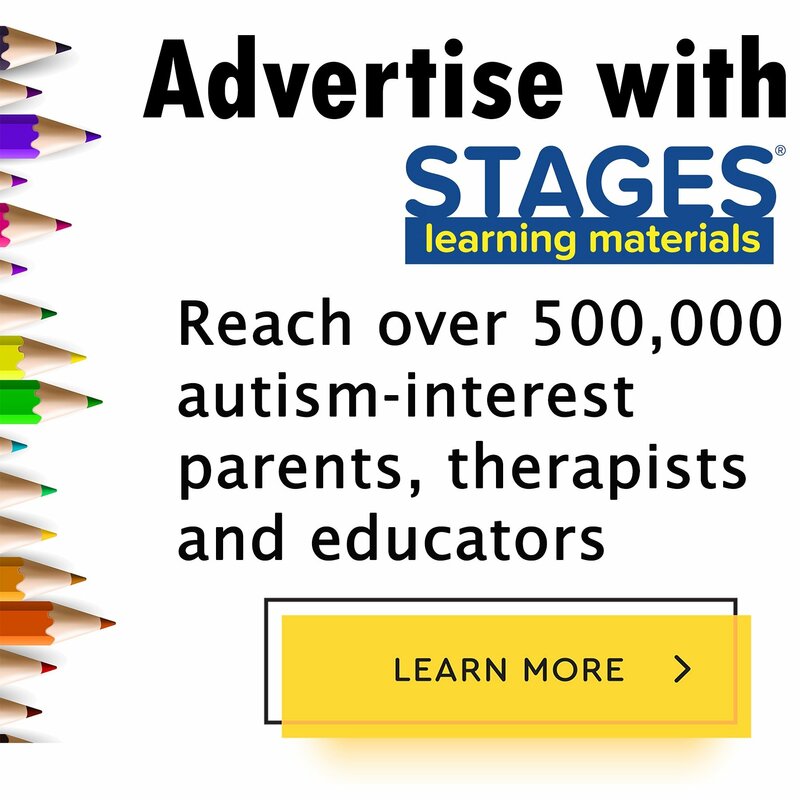 This allows you to reinforce the desired response and be certain that your student understands that you expect him or her to place the card you have offered on top of the matching card on the table. If this is the first time your student has tried this activity, you may want to model it for him or her first. When your student masters this activity with the apple cards, try it with each of the remaining 14 Basic Stage identical cards. Place card #1 (apple) on the table, along with a blank distractor card (#348, 349, or 350). Both cards should face the student. Hand the student card #2 (the same picture) and ask him or her to match it to its identical card. Your student has to select between the two cards on the table and place his or her card on its identical match. Try this activity several times, each time randomly changing the position of the target and distractor cards. (For example, if the apple card is on the right and the distractor card is on the left, swap their positions or try arranging them on top of one another in the next round). The goal is for your student to accurately match the cards regardless of the position of the cards on the table. Place card #1 (apple) on the table, along with one other picture card (for example, #192 bus). Now your student has to look at each picture card and determine which one matches the apple ca rd you have given him or her. Again, you should try this activity several times while randomly changing the position of the target card and the other picture card. As your student becomes proficient with this activity using one picture card as a distractor, try adding another distractor card, either a picture or blank card, to make this activity more advanced. Remember to randomly adjust the position of the target and distractor cards on the table after each round. Your student should be able to accurately match the identical card regardless of its position on the table.